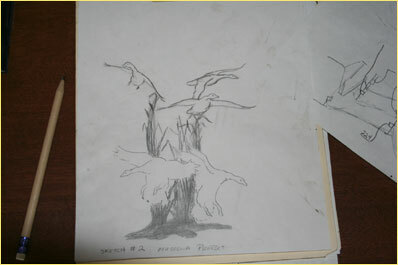 After the composition and design phase are complete. We begin the sculpting process by building an armature to scale. 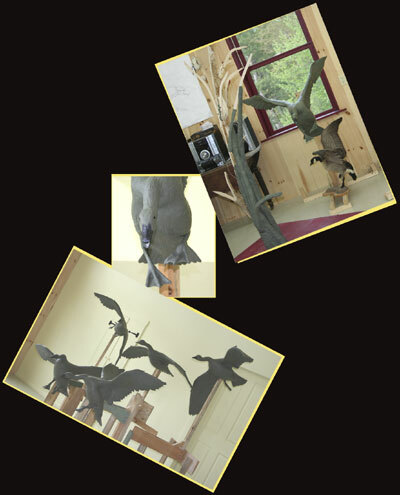 With plenty of reference and a sound base to work from we begin sculpting the piece in clay. 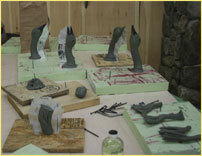 Models are sectioned as necessary to facilitate proper pouring of wax into the mold. Rubber is then painted on all parts to capture all of the detail of the model. Once the rubber mold is complete, an exterior mold of plaster is added. This assures the rubber will hold the proper shape. Once cured, the mold is removed, cleaned, and shipped to the foundry. 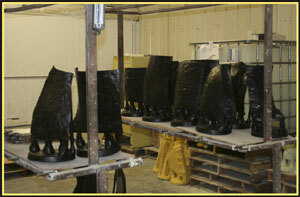 Molds are reassembled at the foundry where wax is poured or painted into them. Once cooled, the waxes are removed and chased (The process of removing imperfections). Next, the molds are dipped into a ceramic material. This mold, once cured, are placed into a kiln. The wax melts out leaving a hollow ceramic mold into which molten bronze is poured. 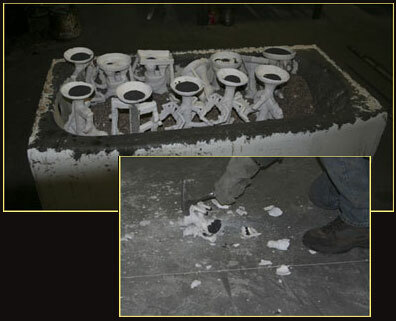 Once cooled, the ceramic is shattered; and the remaining shell is removed by sand blasting. The metal sections are then welded together. Welds and imperfections are “chased” using grinding wheels and buffing pads. 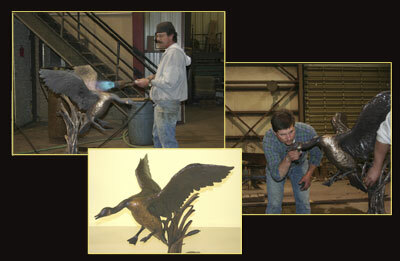 With the entire sculpture assembled and chased, it is ready to accept the patina. The patina, or color of the metal, is achieved through a process of oxidation. The desired color is achieved through the use of various amounts of heat and chemicals. Once the desired color is reached, the process is stopped with an applicatoin of wax. 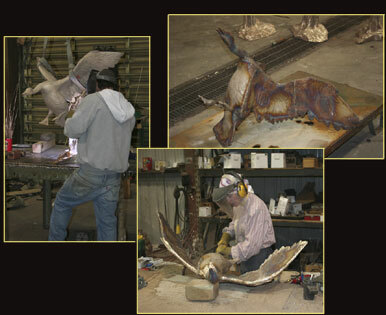 Outdoor sculptures are coated with a UV protectant before waxing.